Selling Restaurants asks are you looking for low rent Chinese restaurant in Marin County? 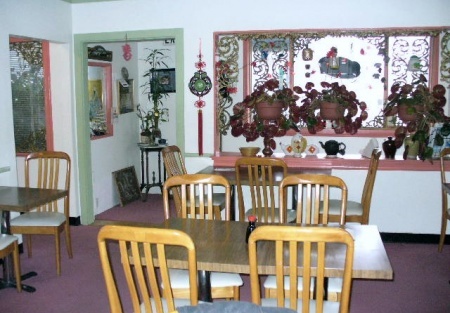 Located in San Rafael, the rent for this Chinese restaurant is only $2000 rent a month! Owned by the same owner for 18 years, this restaurant has built a solid reputation and clientle. This restaurant is clean and well maintained and provides a true Asian home atmosphere. The Sq. Ft. is 1,200 and seats up to 49 guests. Seller claims the monthly gross sales are $24,000. The lease expires in April 30, 2009. After 18 years in the business, the seller has decided to retire from the business for now. Please click the orange link below obtain the business name, address and more photos. Open Mon to Fri for Lunch 11am to 3pm Dinner 5pm to 8:30pm. Sat 5pm to 8:30pm and closed every Sunday. Turn key family operated Asian restaurant. It is located in commercial area in San Rafael. Restaurant is operated by same owner for 18 years. Dinning room clean and kitchen well maintained. Restaurant has 1200sq/ft and seats up to 49. Low base rent is $2,000 a month included CAM. Lease will expire in April 30, 2009. Plenty of parking with 18 parking spaces. Beer and wine license include. Seller is burned out after working hard last 18 years. Please register and sign �Confidentiality Agreement� to obtain business name and address.